Major bone defects are frequently encountered in revision total hip arthroplasties. We report here the Cochin Hospital experience in the use of bone allografts for reconstructing the acetabular and femoral sides, to allow successful implantation of a new prosthesis. 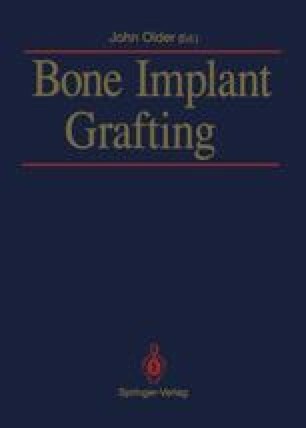 Our experience in revision prosthesis allografting began in 1975 and increased rapidly as revisions became more and more frequent.